File Types: JPG, EPS, All Files; File Size: 14.19 MB; Vector: Yes. 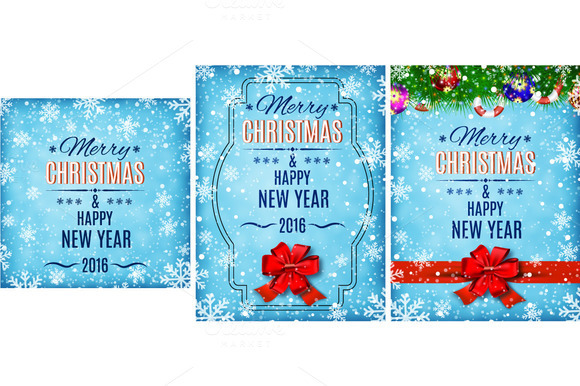 Merry Christmas and Happy New Year text on winter background with red bow, snow and snowflakes. concept for greeting or postal card. Keywords: banner, brochure, card, christmas, greeting, happy, ice, merry, new, poster, snow, xmas, year, bow, ball, template, tree, holiday, present, ribbon. Best ddsign template, vectors, illustrations, video templates from creative professional designers with After Effect, PhotoShop, 3DS Max, Cinema 4D or InDesign. Full details of CreativeMarket Christmas Posters 437132 for digital design and education. CreativeMarket Christmas Posters 437132 desigen style information or anything related.